• Many of the cash shop items are event items in other regions. Where are these events? Some of the Poharan items are event rewards. Who wants to bet they'll be in the cash shop as well? • Extremely stingy with hongmoon coins. In japan you get their hongmoon coin equivalent from the daily dash. Only way to get hongmoon coin is by getting those silly venture tokens which pretty much never drop, or buying Ncoin from another player with BNS Gold, which requires giving NCSoft MORE MONEY. • Terrible localization. NCSoft is paying people to translate this game and they do a worse job than fans who translated without pay? So NCSoft hired people who can't do their job properly. Excellent savings for good old NCSoft I'm sure. • Releasing content rapidly to maintain initial hype. Too bad we're not getting those events though. Gunna have to give NCSoft more money. • I know this has been beaten to death, but the bot problem is VERY BAD. But it's ok, we have Trusty GameGuard. God forbid they actually hire someone to do something about it. • Only way to obtain fabric is GIVE NCSOFT MORE MONEY. Their BS excuse is the best; "oh, we don't want bots farming it at R4PG BNS Gold Store." Yet bots are farming a bunch of other things. How strange that they chose FABRIC to be the thing that they were really concerned about bots farming. Nevermind that some of these outfits aren't easy for bots to farm, NOPE. No salvaging for u unless you PAY UP. These are just the things I've noticed, and when I take all of these things into consideration I just can't help but think NCSoft is just trying to maximise their short term profits on this game and when they run out of stuff to use to milk us of all our cash they'll just let the game die and the bots will rule everything. If they really cared about the long term survivability of this game they would be scrambling to fix these issues, but instead it just seems like they're trying to minimize costs and just hope that no one notices, at least until they rake in big buckets of cash. Most of those events you speak of are on servers with up-to-date content. 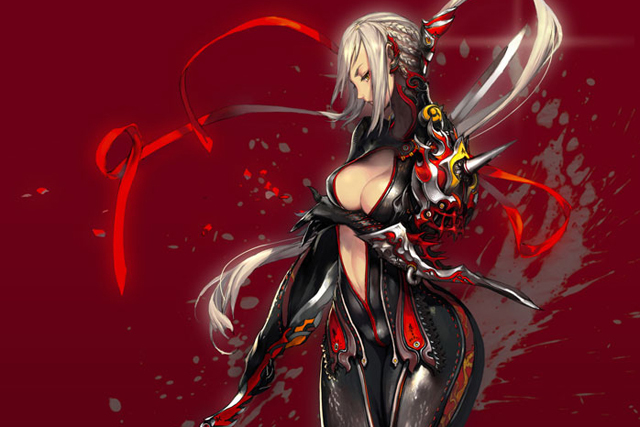 Im sure that once we get Silverfrost, the updates will start slowing down and the events will start picking up in order to give people things to earn more Cheap Blade And Soul Gold. Im happy we're getting fast content because it keeps things fresh. A lot of people are currently at True Pirate and Awakened/True Siren accessories and things are getting boring. The only things to farm after that is the soul and BW gems. Id rather have loads of content faster so that we have a goal set to achieve.